Now that the New Year has started we all have personal resolutions or goals we would like to accomplish. However, not everyone ends up accomplishing that goal. There are different reasons why this happens or the person simply gave up because it was hard work. Whatever the reasons are I hope you accomplish all your goals this year, but most importantly stay active. Oftentimes, people stop working out because they do the same routine over and over and it gets boring. That’s why is very important to find something you like and stick with it. Explore, try other activities, and find something you’ll enjoy daily. If you do something you won’t enjoy then what’s the point? If you’d like to try something new then go for it and incorporate it in your schedule. I’d like to share ideas you may consider as you decide what is best for you. Yoga is one of my favorite activities. 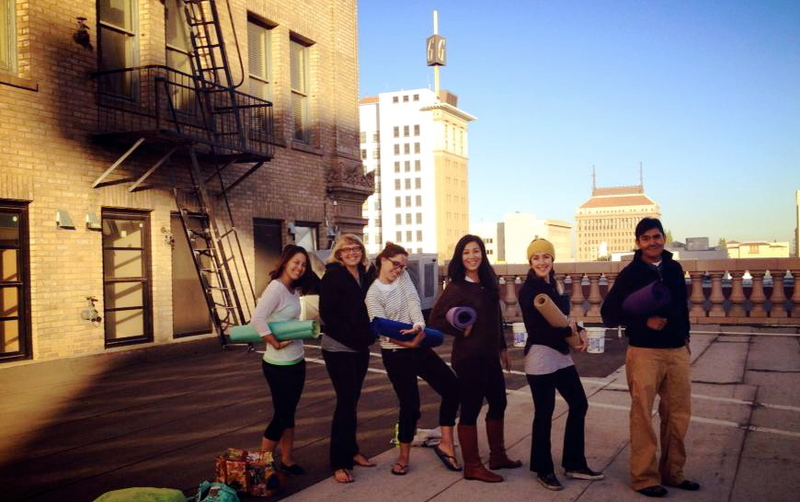 If you live in downtown Fresno you might be interested in joining the “Downtown Rooftop Yoga.” The group meets every Friday morning at the Pacific Southwest building for an hour at the second-floor rooftop from 7:00am-8:00am. It’s such a great experience plus the instructor Cole E. Judge, is friendly, patient and she will make sure you have a good experience. 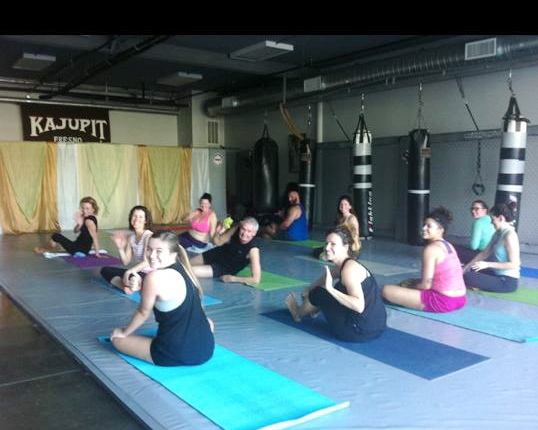 Just so you know, Downtown Rooftop Yoga is a community-based, pop-up yoga shop that offers a weekly yoga practice. Its mission is to create a community of mindful, downtown yogis and yoginis who honor and support one another while healing and empowering themselves. Another activity you may want to consider or try is martial arts. This practice will keep you in shape and you’ll train with one the of the best martial arts instructor. Sifu Art Peraza Jr. will coach you and help you accomplish your goals. He is the owner of The Dungeon MMA, the Iron Bird Loft area, 1929 Fulton St Suite 106. His passion is martial arts and focuses on the spirit, mind and body. He currently offers different services such as MMA training, pro and recreational training, self defense, weapons defense, women cardio kickboxing, boxing, yoga, kids programs, Muay Thai, Arrest/control techniques, weight loss and private lessons. He started his business three years ago and is happy to live and work in downtown area. He’s also satisfied for all positive experiences and glad his clients enjoy every class. He plans to continue providing good services and provide a family oriented environment so all can feel welcome. And as he envisions the best for his business he plans to have another location and be closer to downtown. And lastly, there is an upcoming event you may enjoy and I encourage you to attend. Caris and Company located in downtown area is a modern dance company committed to providing a unique and inspirational artistic experience for the city of Fresno. 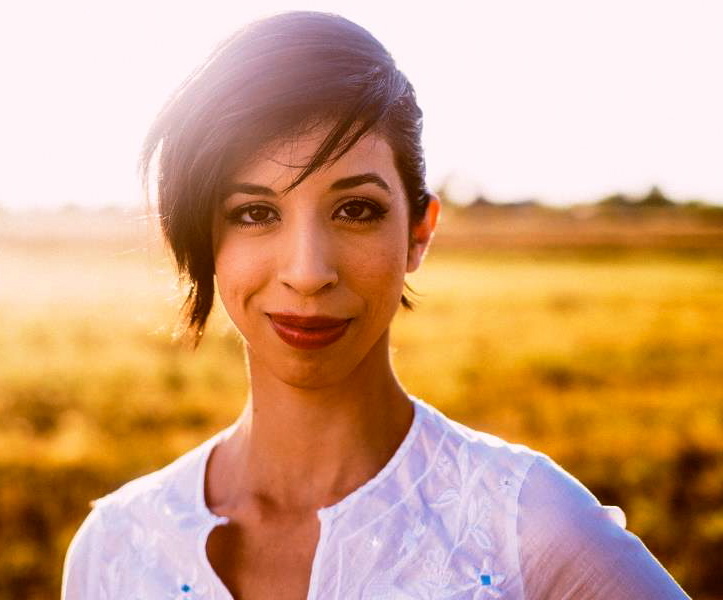 Jasmin La Caris, founder, dance instructor and choreographer is very excited about this opportunity because it’s a one of a kind event you cannot miss. Caris and Company has offered the public different opportunities like live Balkan music parties, Turkish dance performance, and even custom choreography for weddings! 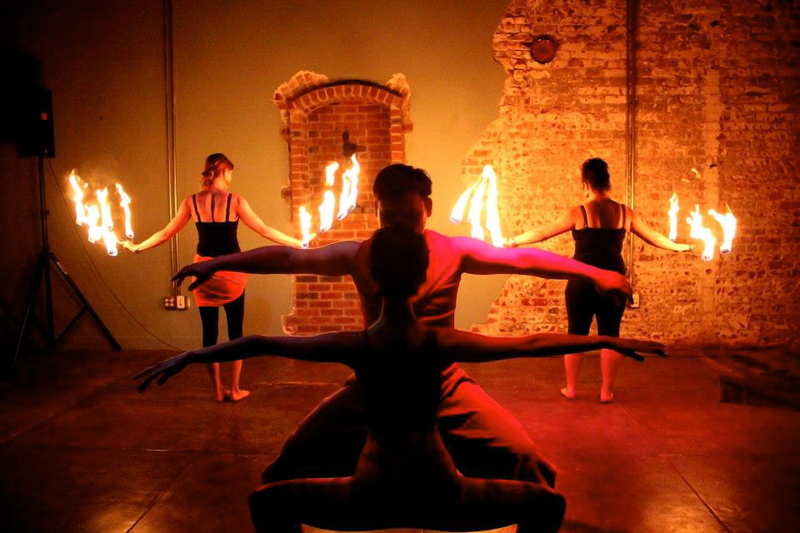 And next month, plan to attend Art Hop and visit Broadway studio to watch a performance. 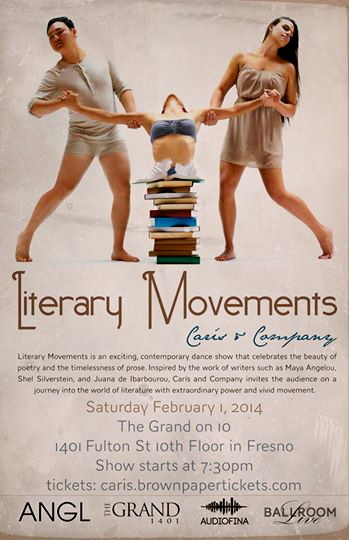 Their upcoming event “Literary Movements” will be on Saturday, February 1, 2014. Caris and Company will present a collection of modern dance works at the Grand 1401, 10th floor, Fulton St in downtown Fresno at 7:00pm. After reading the poem “And Still I Rise” by Maya Angelou, company founder Jasmin La Caris was inspired to create a new dance. “I felt attracted to the words, Maya’s cadence and her meaning. I wanted to embody her message.” Caris invited four members of her company to also create new works that paid homage to literature. Literary Movements represents the best inspirations and will premiere on February 1st. or if interested in this event make sure to purchase your ticket soon. We all have choices to make always whether to stick to the same work out, try a new one or simply finding an enjoyable activity can sometimes be frustrating. Whatever you decide to do make sure to give it a try and get movin’!